When we shop, our purchases affect the planet, something we rarely think about. We would all love to see changes in the manufacture of goods, but we can make a difference as consumers as well. Thankfully there are more eco-friendly shopping options available today than ever before. 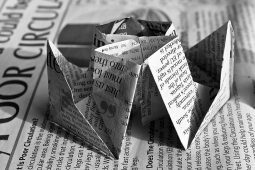 Follow these helpful tips to help bring about a change in mindset and energize your own ethical practices. If you’ve ever taken a psychology class, you may have heard of Maslow’s Hierarchy of Needs. If you’re not familiar, it takes a look at the structure of needs that influence our choices and behaviors. 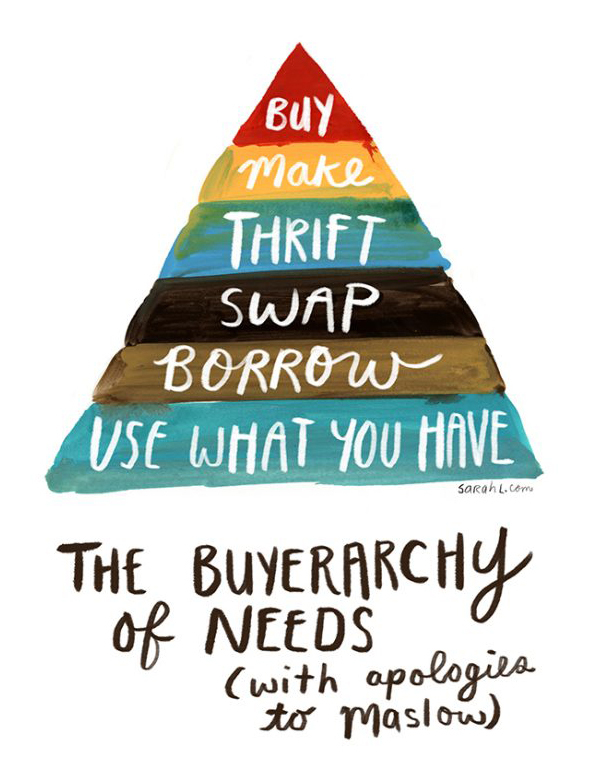 A few years ago, Sarah Lazarovic, a Canadian illustrator, created a newly imagined hierarchy of buying behavior. The ‘Buyerarchy of Needs’ looks at buying as the last level after all other areas have been tried. It’s a great way to look at the choices we make when it comes to buying and focus on going up the pyramid in how items are obtained that we need or want. Shop your own wardrobe. You might be pleasantly surprised to re-discover some much loved pieces hiding in the back of your closet. Stop treating your clothing as disposable. Learn to take care of what you have so you can love your pieces for years to come. Invest in quality pieces and items that you’ll wear frequently or for a long time. As consumers, we often don’t think about the impact that the clothes we wear has on our planet. Did you know that it takes 1,800 gallons of water to make one pair of blue jeans? Rather than throwing out clothing after a few uses, donate or sell them to a secondhand store. This will ensure that your clothes go to a new home for many years to come. While it may not seem like you’re making a big impact, take a minute to think about where your clothes actually go when you throw them out; landfills. When things get thrown out by hundreds of people, at around the same time, it creates an exponential amount of waste. However, when people use clothes to their full extent, it can take up to a decade before they touch a landfill. On top of donating or selling your used clothing to secondhand stores, consider shopping secondhand as well. This is one of the best ways to deal with textile waste as it creates a recycling community. Not to mention, you can save a ton of money on brand name items and even score one-of-a-kind pieces! Many thrift stores are now offering their clothing selections online, making it easier to shop your favorite styles. Online thrift stores, like thredUP, offer clothing from your favorite brands at a fraction of the price you’d spend at department stores. They even have a wide selection of hard-to-find items, including their collection of affordable Lularoe items. When shopping for clothes, check the labels for ethical fashion certifications. These certifications ensure that the clothing has been made under fair and safe working conditions. While there are hundreds of ethical fashion certifications, here are a few of the basics to be on the lookout for during your next shopping trip. You can read more about other ethical fashion certifications here. Global Organic Textile Standard (GOTS) – This certification is known worldwide as a textile processing standard. 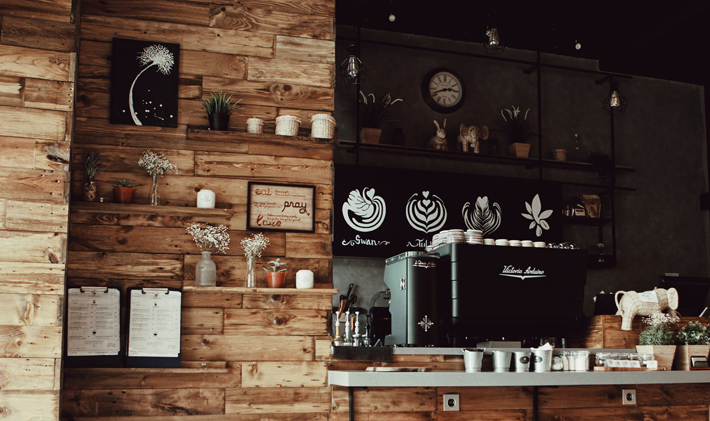 In order to gain this certification, a brand is assessed for the fair harvesting of their raw materials as well as their social responsibility, environmental impact, and water and energy use. Additionally, GOTS identifies that a product is at least 75% organic. Worldwide Responsible Accredited Production (WRAP) – This is a non-profit organization that accredits facilities when they practice safe, responsible, humane, lawful and ethical manufacturing processes. On top of their accreditation, they also focus on training and education. Fairtrade – This certification is the promise of fair trading terms, sustainable production practices, and the promotion of economic security. Additionally, Fairtrade advocates for fair pay and working conditions and the just management of people in farming and factory environments. Not only will you see this mark on many food items, it’s also used to certify and regulate the cotton industry. You may experience a sort of consumer paralysis as you begin to learn more about the changes that you should make in your lifestyle and shopping choices. You may even start to think that there’s too much that needs to be done and that you’ll never be able to manage it all. This is why it’s important to reinforce and encourage the small ethical changes that you do make. Be delighted in wearing your secondhand clothing, you thrifty eco-conscious person, you. Smile as you buy local. Celebrate when you drop off your gently used clothing to a local thrift store. Pat your self on the back every time you participate in eco-friendly shopping. 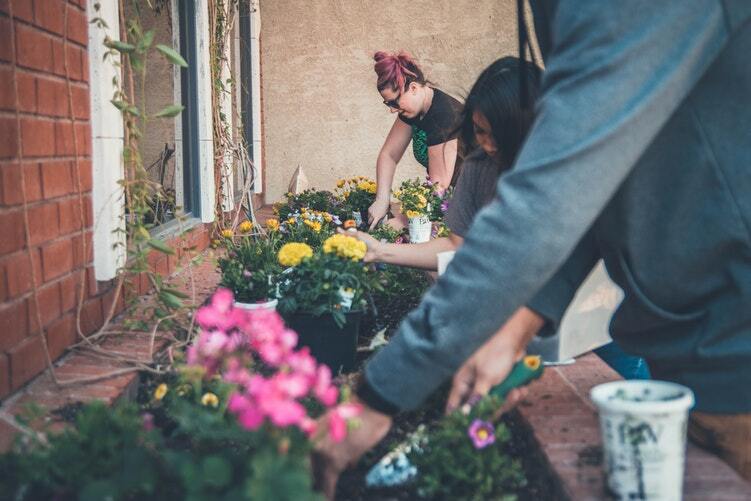 Big or small, the changes you make can have a significant impact on our planet. What are you doing to be more eco-conscious in your buying? When my Mom passed away, I inherited her card collection. She was considered a card lady – never missed a birthday, congratulations, condolence or get well soon. I have been sending more cards since her death as a reminder of her caring. But, the rolling cart that stored cards was quite cluttered and messy. 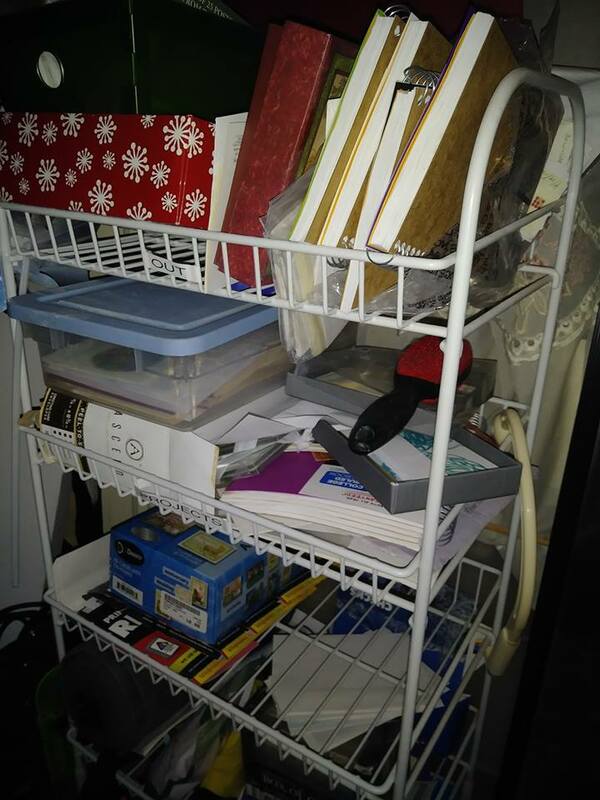 So, when “rolling cart” came up in the Declutter Calendar I decided it was a great time to handle it. 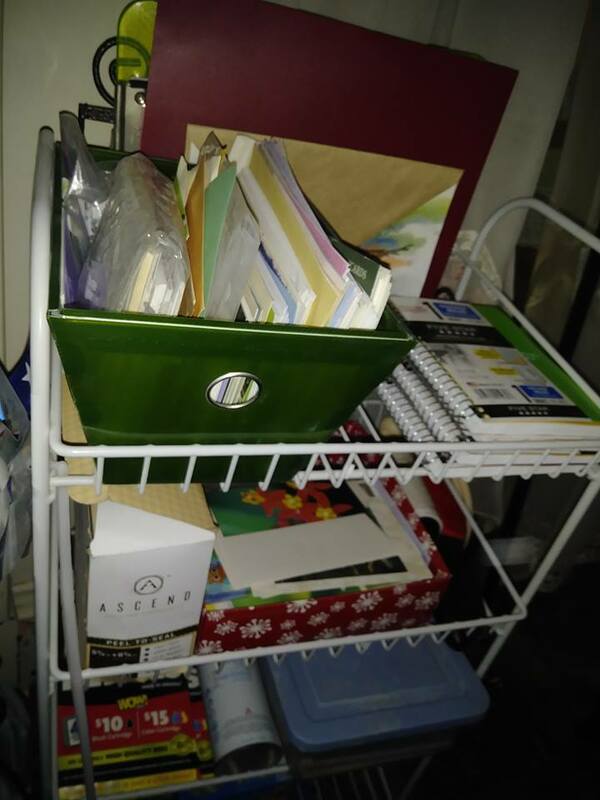 I got rid of a box of unmatched envelopes, a couple old notebooks, and some miscellaneous clutter that didn’t belong there to begin with. P.S. 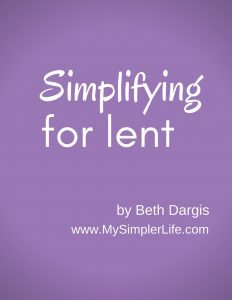 Lent is March 6th if you are interested in my Simplifying for Lent $1.99 guide. One of my frustrations each morning was cleaning my yogurt container after making my morning smoothie. I make my own yogurt, so I have glass jars I can’t throw out. The container always has yogurt/milk in the rings where the top screws on. Then the other night I thought, “What if I slowed down a fraction more when I am ladeling the yogurt mix into the yogurt maker? Fewer drips. Less mess to clean up every morning. The added time was probably less than 20 seconds total. The little bit of slowing down saved time and frustration in the morning. Can you think of a place where slowing down a bit might give you more time and less frustration? How do YOU handle (or how do you recommend other people handle) the guilt from other people when decluttering? You know the ugly ceramic from your sister-in-law or a birthday gift you will never use. A sweet gift from a spouse. 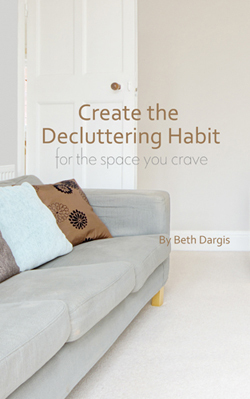 How do you declutter without hurting feelings? And let’s not forget the relative that is always giving you something from a distant relation and laying on the guilt about receiving it and keeping it. This is the kind of scenario that happens all throughout our lives. Wanting to have autonomy on our homes and our lives and having well-meaning people we don’t want to hurt, interfere. One thing to remember, is that guilting someone is a form of manipulation to get someone to do what you want. Most parents or grandparents have done it at some point with their kids and/or grandkids. But, as adults we don’t have to buy into it. At some point we need to take ownership of our choices included keeping something because we were made to feel guilty or refusing and feeling badly. What are some ways of refusing gently? What if you already have it and think they might visit? This is up to you. If you know for sure it would hurt their feelings and you just can’t, put it away until they come over. But, I think most of us are adult enough to know that not everything we give is a perfect fit. We try, but it doesn’t always work. I can’t recall things I have given, so I wouldn’t even notice if something was out or not. I’m sure there are a lot of people that way. If someone does notice, you might have to gently explain why you had to let it go (not enough room, moved on from that hobby, someone else asked about it and really wanted it). It’s not something wrong you did. You just didn’t keep something you didn’t want in your space. Some people may get terribly offended. You know who they are. That’s why you get to use your discernment to see if it’s better to keep something or allow someone to be offended. There is a choice. We may not want to make it. But, that’s how we create the lives we want. With the choices we make. Sometimes you will end up disappointing someone or hurting someone’s feelings if you are creating your life with your choices. We also don’t get to choose how other people re-act. So think if you want to live your life basing your choices on hopefully never offending or hurting someone’s feelings or in the way your soul is actually leading you. In a normal life, unfortunately, you will disappoint someone or make someone mad or offend someone if you try to live a simpler, soul-driven life. But, the alternative is to tip-toe through life, never making waves (and limiting your impact on the world). Be kind always. But, that doesn’t mean you need to bring other people’s guilting into yourself. Be kind. Be loving. And start noticing how many times you trade “being nice” for living how you choose. Too often and you start living other people’s lives instead of your own. Need some support in letting go and dealing with other people in the midst of it? 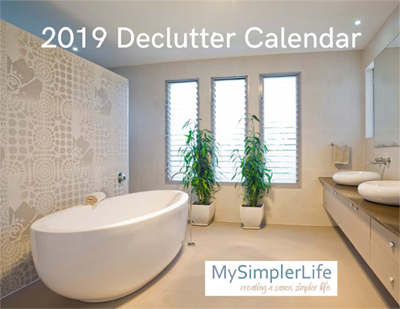 Join the Declutter Group.